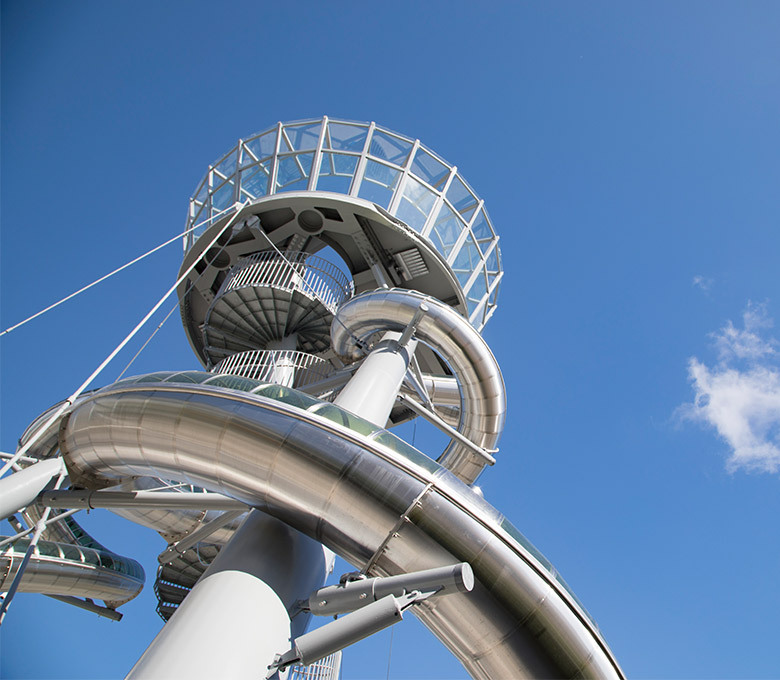 Experience the nearly 93-foot tall, tubular Aventura Slide Tower by Carsten Höller by sliding down the sculpture. *Slide operating hours are weather permitting. Must be 50″ or taller to ride the Aventura Slide Tower.